This is a very minimalistic picture in black and white making it perfect for a photo wall. But alone it is perfect for the living room or bedroom. 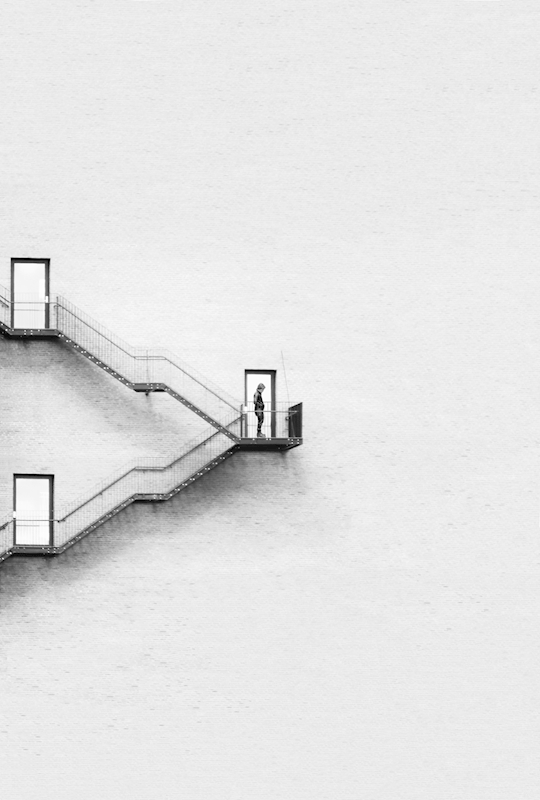 It is a picture of a staircase and three doors and a person standing in front of one of the doors.